Another ancient city with roots back to 71 AD when the Romans founded the city of Eboracum. After the Romans came the Anglians in the 5th Century, followed by the Vikings who established the city of Jorvik, which became a major trading center in the late 800s. The Normans defeated the Vikings and York went on to be England’s capital in the North throughout the Middle Ages. We arrived in York late in the evening after coming up from Leicester through a cold driving rain. We were happily welcomed into the Bronte Guest House just outside the city walls. A lovely three storey townhouse converted into a B&B, we had a cosy room on the top floor. Mick and Mandy, our hosts, were out of town, but we were greeted by one of the staff, a very friendly and chatty fellow who made sure we knew all we needed to know about the guest house and the city before letting us out on our own. York retains much of its medieval character, with small winding streets and ancient city walls, still about 70% intact. Major gates (“bars”) providing access into the city still exist (including Micklegate Bar where Margaret of Anjou had the Duke of York’s head stuck on a spike during the Wars of the Roses). After settling into our room we set out to find dinner. Just up the road we entered the old city through Bootham Bar. We got a bite to eat at The Hole in the Wall pub, and then continued down the street a bit. 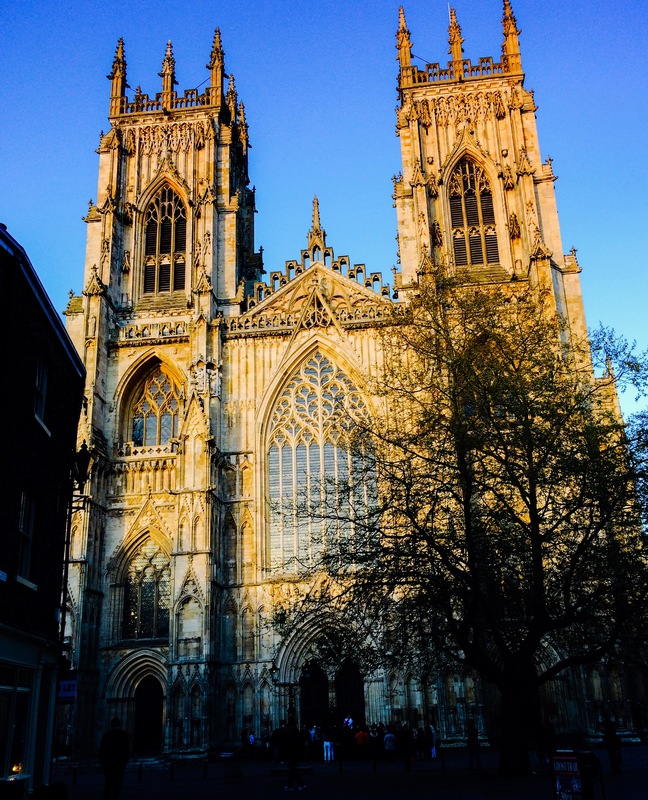 On our list to see was York Minster, the city’s cathedral that dates back to the 12th century. We wondered if it were close by and then turned the corner only to come face to face with its towers looming high above us, illuminated by floodlights giving it an ethereal glow. Easily the most imposing, spectacular cathedral we’ve seen yet. One of the largest in Europe, we could only imagine how it would have appeared to the average peasant in the 1100s. We visited the Richard III experience located inside Monk Bar, another of the city gates, as well as the Henry VII experience at the opposite gate, Micklegate Bar. The Jorvik Viking Centre took us underground through a recreation of the Viking City in the actual area of the Coppergate Dig, excavated in the 1970s. The conditions of the soil preserved everything so perfectly they’ve been able to understand in detail how the Vikings lived, what they ate, what kind of climate they lived in, etc. Later on we climbed Clifford’s Tower, the keep, and all that is left, of what was once York’s castle. From the ramparts we had clear views of the city in all directions. Finally, we walked the city walls, circumnavigating the entire city in just an hour or two. Everywhere you turn in York there is another piece of history, and much of it is still buried underground. 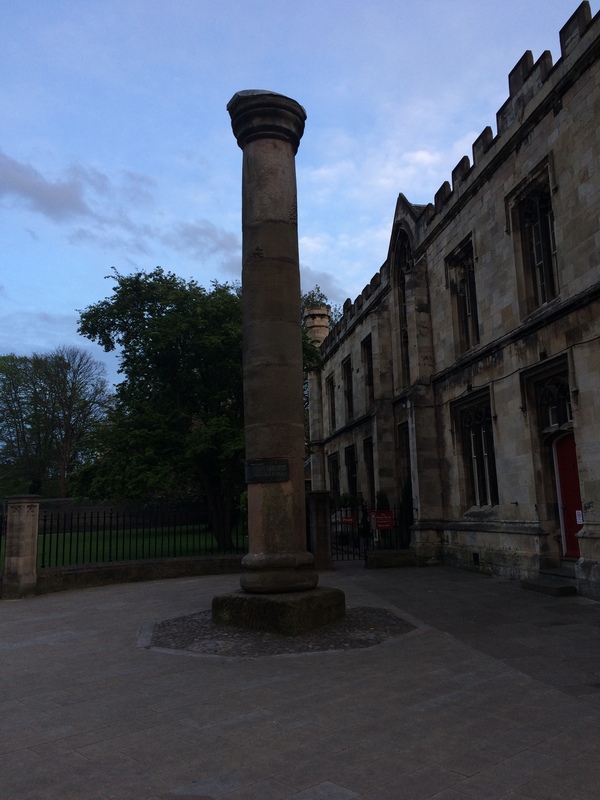 There is a roman column that was found in the late 1960s during a dig around York Minster’s foundation. It had been lying buried for over a thousand years while the cathedral was constructed above it. Who knows what else is lying beneath this old and fascinating city?